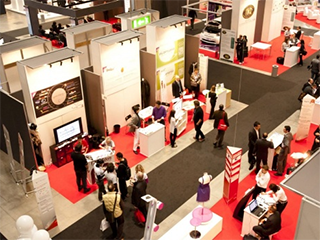 Exhibition Event management is the planning of exhibitions and trade show booths for businesses. It is crucial for this event to be successful for businesses as they usually get higher return on investment from this type of event. The trick to having a successful trade show event is by bringing new creative energy every single time so it doesn’t become the same event as the last one. Right Angle Events has put together some key points to consider when planning your next exhibition or trade show event. When planning a trade show or exhibition, it is essential to looking for new vendors or vendors who bring a new theme for every exhibition. One thing that is a killer for trade shows and exhibition is: repetition. So, it is extremely crucial to keep it new and exciting by staying on top of the trend and personalizing it. Keeping a giveaway with your business card attached is a great personal touch to your trade show and also helps your event to stand out. Some examples of giveaway gifts are herbs, plants, chocolates or even food samples. The wise selection of the location and the day you plan to have the exhibition would help to draw more people to the event. Avoid planning an event on major public holidays and especially when there are other popular exhibitions and conventions happening in the city. The location should be selected with regards to its size. It should be large enough to accommodate all your guests while making room for more guests. The venue should also provide free parking for your guests and free event marketing. The venue selected for the exhibition or trade shows should also provide flexibility for catering. Having a wider choice for food and beverages will help your trade booth or exhibition to stand out from the rest and the food can also be chosen based on your new theme. 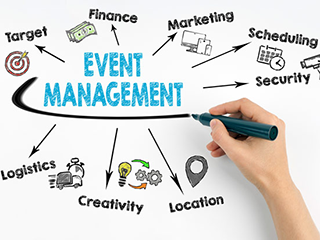 Well, some other points which will not only make your exhibition successful but also other types of events: finishing bigger tasks first, setting goals with deadlines, preparing a layout for the event, knowing the basics of your location such as carpeting, furniture, lighting and fixtures and creating a website to keep your guests updated. Right Angle Events offer a full range of project management services for exhibition stands and event management in Melbourne. 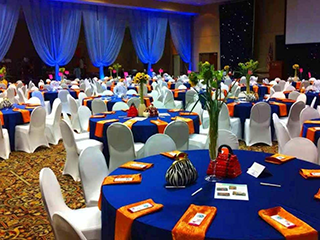 We handle all levels of events, from single stand design, large scale custom build and multi stand events. Planning for an exhibition event and want to discuss further? Feel free to contact us by giving a call at 03 9702 9003/043 805 1134 or email us at info@rightangleevents.com.au. 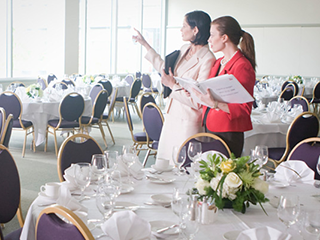 Event Planner: What do you need to strive?